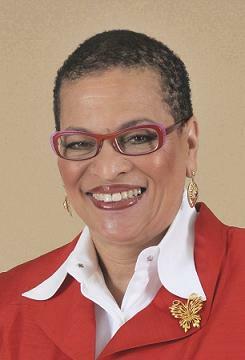 Julianne Malveaux (MAL-voh) is an economist, commentator, author and the founder of the multimedia production company Last Word Productions. She has appeared on a wide range of television networks such as CNN, PBS, NBC, and Fox News to speak about economics and social issues. She has written several books, including “Surviving and Thriving: 365 Facts in Black Economic History” (2010). Malveaux was previously the president of Bennett College, a historically black women’s college. She serves on the boards of the Economic Policy Institute as well as The Recreation Wish List Committee of Washington, D.C. She has a Ph.D. in economics from MIT. Heard on NPR: For a complete list, click here. Tell Me More: Would Armed Guards Make School Safer?